​Tottenham said to be interested in pursuing a deal for Besiktas defender Domagoj Vida, if Toby Alderweireld leaves this summer. 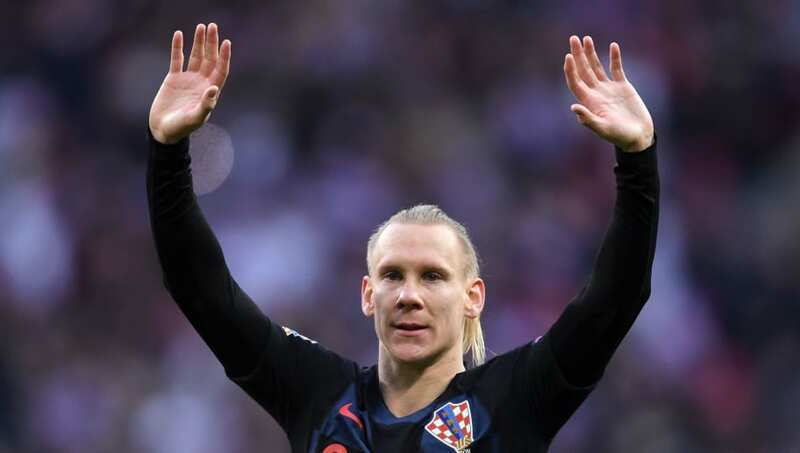 Vida was mightily impressive during Croatia's run to the World Cup final last summer, forming solid partnership with Liverpool's Dejan Lovren in defence. His performances inevitably sparked plenty of rumours surrounding a summer move, with Tottenham being one of the interested parties, but the 29-year-old remained at Besiktas. According to Turkish media outlet ​Tavkim, ​Tottenham are interested in making a move for Vida this summer as they look for potential ​Alderweireld replacements. Spurs activated a one-year extension in Alderweireld's contract to keep him at the club until 2020, but in doing so also activated his £25m release clause. Manchester United and Arsenal have been credited with an interest in the 30-year-old, though no there have been no reports of any official approaches from either side. Tottenham boss Mauricio Pochettino recently discussed the Belgian defender's situation, saying (via ​Football.London): "He’s in our plans, of course and then, here in Tottenham the circumstances about what you want, your agent, your dad, your family, your club, your manager, your chairman. "It is about many things together in the same place take the best decision for everyone. But it’s not only a decision from one side, it is not always. There are a lot of components that make the best decision for the club and in this case, the player." ​A Spor reported that Besiktas rejected a £15.9m offer for Vida last summer, so it remains to be seen how much they would be willing to accept for him if Tottenham were will to sign him as a replacement for Alderweireld.